Lines from Linderhof: Egad! A Pof of Tea In the Garden in AUGUST! Egad! A Pof of Tea In the Garden in AUGUST! Not a big teapot . .
And I like to be hospitable. I made them for Saturday company as coconut jam thumbprints. Garden teas should have herbal cookies! And begging dogs at my feet. And a cookie or two. And I put my blinders on as to what needs to be done. And just enjoy the garden for what it is! 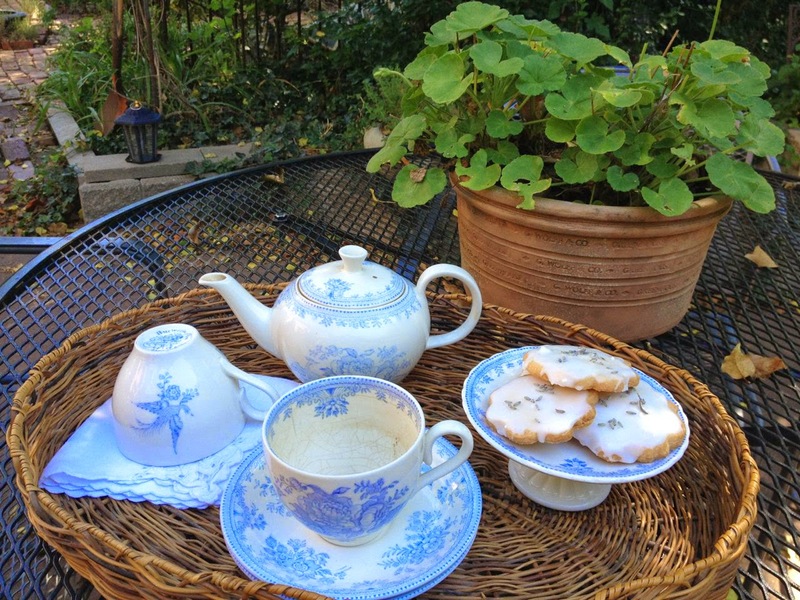 It's Wednesday and I'm sharing my garden tea with Susan at A Southern Daydreamer for Outdoor Wednesday. Beautiful outdoor post. I loved it. The cookies look yummy! Thanks for sharing this sweet treat. I joined for the first time today! Lavender cookies in a garden. What a complete, perfect rounding of the experience, smooth and curved as an apple on a palm. My first thought was fennel, and I could just taste that first crisp bite, with the sweetness of the frosting and the crunch of a seed between my eyeteeth, with the ping of licorice to finish the bite. And lavender is even better, with a sense of sitting on a Mediterranean hillside overlooking the sea. What a lovely moment you've shared---I've enjoyed it so much, even from this far remove. PS It's been in the sixties all this week, and we're gobbling up these perfect days in great greedy gulps out in the green and the sunshine. I'd be one to "yoo-hoo" over the fence and pop over to join you. 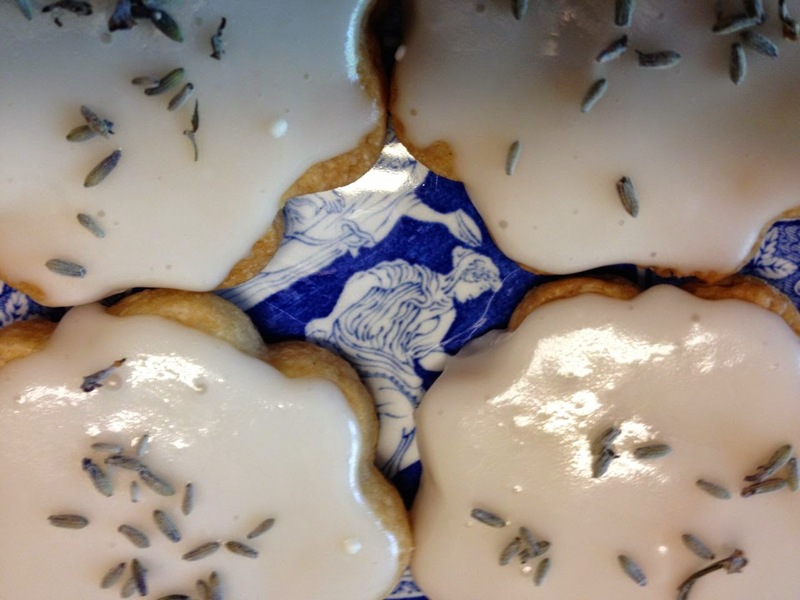 The setting is lovely, and the lavender enhanced cookies are just the thing for a garden tea. Lucky neighbour to be able to peak over the fence at Linderhof! Your tea time looks heavenly - up here, tea always means 'hot'. 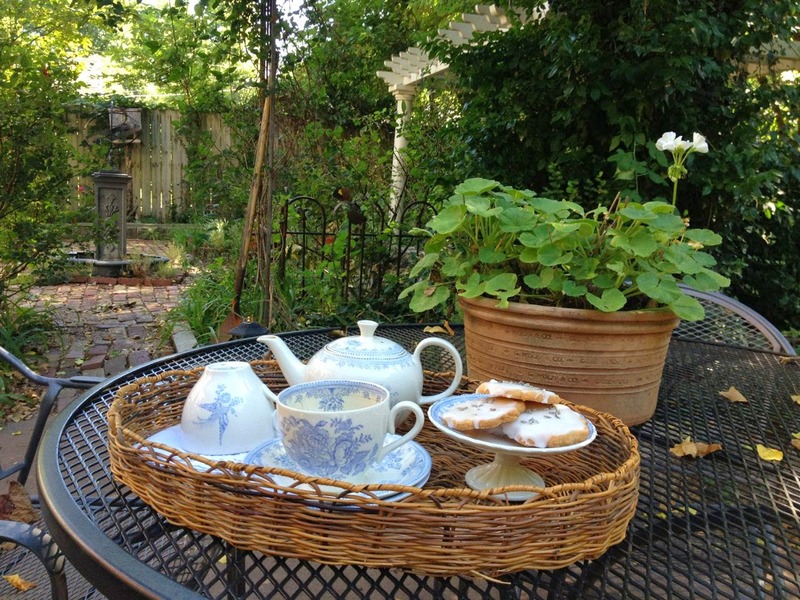 Your garden is beautiful and the perfect place for tea! That is the prettiest little tray...I want to come "you-hoo!" The Daily Breakfast at Linderhof . .
You Say To MAY to -- I Say To MAH to . . .
Earl Grey Times Two .